What is Clostridium difficile (C. diff.)? Clostridium difficile (C. diff.) is a type of bacteria that lives in many people’s intestines. C. diff. is part of the normal balance of bacteria in your body. It also lives in the environment, such as in soil, water, and animal feces. Most people never have problems with C. diff. If there is an imbalance in your intestines, C. diff. may begin to grow out of control. The bacteria start to release toxins that attack the lining of your intestines. This is what leads to symptoms of a C. diff. infection. C. diff. infections can range from mild to severe. blood or pus in your stool. symptoms last longer than 3 days or get worse. What causes a C. diff. infection? If you are in good health, you likely will not get a C. diff. infection. The most common risk factor for C. diff. is the use of an antibiotic medicine. Antibiotics can disrupt the normal balance in your intestines. Your risk increases if you have taken antibiotics for a long period of time or if the antibiotic is broad-spectrum (treats a wide variety of bacteria). How is C. diff. diagnosed? Testing a stool sample can diagnose C. diff. Follow-up tests may be needed to confirm. Your doctor may do an X-ray or computerized tomography (CT) scan of your colon. You can test positive for a C. diff. infection without having any symptoms. This is known as C. diff. colonization. Some people are carriers for C. diff. but do not have C. diff. A positive test result plus symptoms indicate that you have an active C. diff. infection. Can a C. diff. infection be prevented or avoided? C. diff. bacteria are contagious. They can spread person to person. They also live a long time on surfaces, such as toilet seats, telephones, and doorknobs. Good hygiene can help you avoid the bacteria. Wash your hands often and well, using soap and water. Use disposable gloves when caring for someone who may have C. diff. Use chlorine bleach-based products to disinfect surfaces and items. Wash clothing that may be soiled with stool with soap and chlorine bleach. If you visit someone in a health care facility, wash your hands before, during, and after your visit. Do not use antibiotics unless your doctor recommends them. If you have a C. diff. infection, wash your hands with soap and water before eating and after using the restroom. Use a chlorine bleach-based product to clean surfaces you may have touched to avoid spreading the infection to others. If you were taking an antibiotic when your symptoms started, your doctor will probably ask you to stop taking it. They will watch you for dehydration if you have severe diarrhea. About 25% of patients begin to improve 2 to 3 days after they stop the antibiotic that caused the infection. For severe cases, your doctor may prescribe a 10-day dose of an antibiotic that has proved effective in treating C. diff. infections. Examples include metronidazole and vancomycin. You should improve after 72 hours of starting the medicine, although the diarrhea may continue. In about 15% to 35% of cases, a second round of antibiotics is needed. While you recover, drink plenty of fluids to replace what your body lost due to diarrhea. Avoid milk products and foods that contain wheat flour or are high in fiber. Your digestive tract may be sensitive to them for a few days. If your infection gets worse, you may become dehydrated or be unable to pass stool. Rarely, C. diff. can lead to sepsis (a life-threatening blood infection) or a puncture in your intestines. If you have diarrhea and think it could be caused by C. diff., check with your doctor before using antidiarrhea medicine. These drugs can make your infection worse. 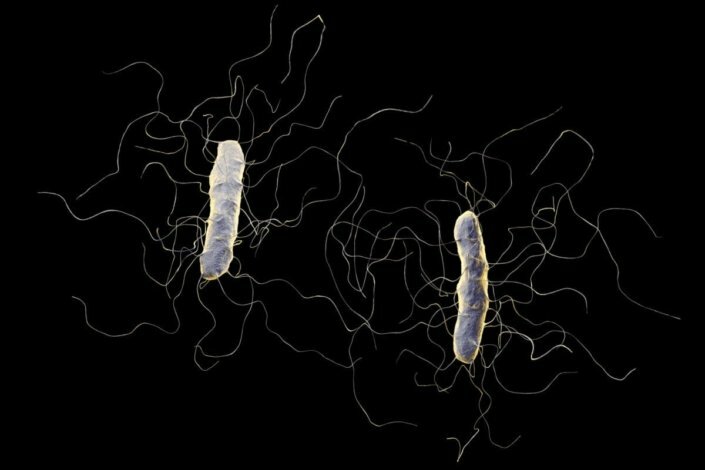 Certain probiotics, or “good bacteria,” may help prevent repeat C. diff. infections. Talk to your doctor before taking any supplements. They can instruct what to take along with antibiotics. Should I stop taking my antibiotic? At what point? If I have diarrhea, when should I call my doctor? How did I get a C. diff. infection? If I’ve had C. diff once, what is my risk of getting it again? My mother is in a nursing home that has a breakout of C. diff. Should she be tested? I’ve been diagnosed as a C. diff. carrier. What precautions should I take with my friends and family? I have diverticulitis. Am I at risk for a C. diff. infection?